Any guitar aficionado knows that there are two things that power the instrument. Specifically, they are the amp and the pickup. Of course, the former is known to many. However, the latter is not. In short, pickups are somehow enigmatic, especially to beginners. Therefore, you can find this guitar pickups guide useful. 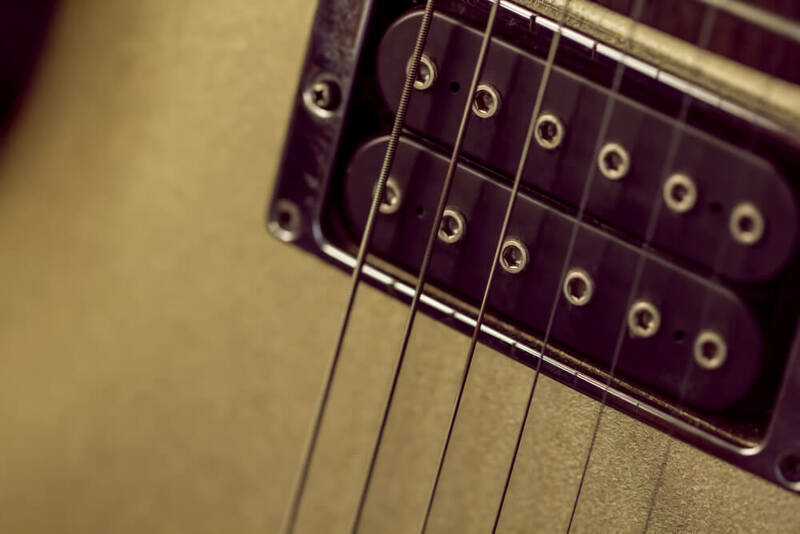 In this article, we will show you the ins and outs of guitar pickups. Moreover, we will also guide you which type of pickup can work best for you. So what are you waiting for? Read on! Guitar Pickups: What are they? In layman's description, a pickup is the part of the guitar that somehow "listens" to the strings. Specifically, pickups help the instrument to sound the way you want them to be. 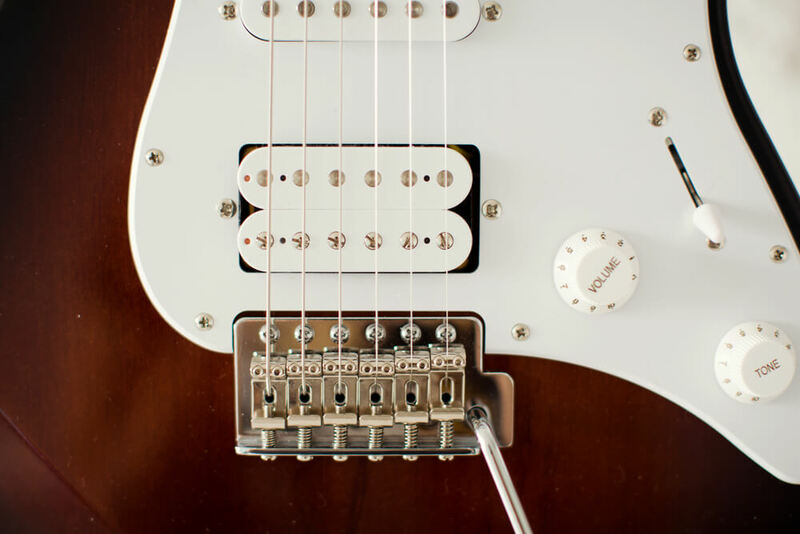 By picking up the subtle movements of the strings, pickups can create the expected audio from an electric guitar or bass. In short, you can say that the pickups are the default "microphone" of your guitar. But pickups have a greater function than that. Is your bass guitar too weak to stand out in the mix? Does your elec﻿﻿tric guita﻿r sounds too loud in your room but fragile on stage? Do your sustains quickly dry up? These are some of the most annoying guitar problems that a guitar pickup can solve. If you haven't tried any pickups yet, then you are missing a lot of things! You should know that this component can dramatically improve the overall performance of your guitar. Even if you have a pickup right up, it is still good to try other units as well. Of course, if you are suffering from "tone envy," it is time for you to replace your current pickup already. After all, your instrument needs some multiple improvements over time! However, you should know that not all pickups are meant for your guitar. Even the match of great pickup and quality instrument doesn't mean that you can achieve the tone that your ears want to savor. Instead, you should search for the right one. Anything that is not correct will leave your instrument still lacking. Guitar Pickups: How do they work? Most of the bass and electric guitars you can see on the market today are reliant to magnetism. Therefore, most of the pickups are using wire coils and magnets as their main component. First, the magnet can produce a "flux field" to surround the pickup. Every time you strike the string, this particular field responds accordingly to the vibration. After that, the pickup will transform these occurrences into full electric signals (or music). But before you can hear these signals, make sure that your amp is running. 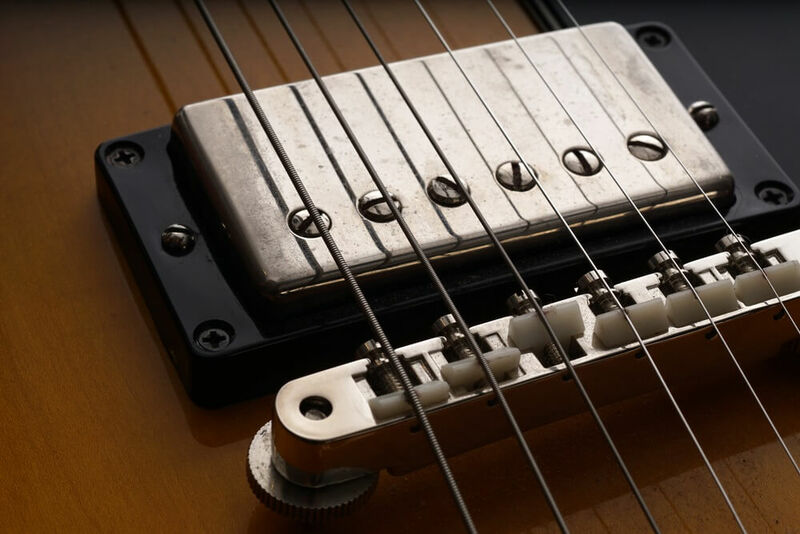 You can opt for two types of pickups: the single coils and humbuckers. The basic one is the single coil. Specifically, this pick has insulated wires that cover six different magnets. When you pluck the string, the magnetic field reacts. These changes will be taken by the cable and automatically transfer it to the amplifier. The sound produced by single coil pickups are clear and twangy. They have the tendency to perform well on clean amp settings. Therefore, you will love this pickup if you are looking for audio clarity. Moreover, "clean" genres like blues, alternative, and country can benefit from single coil pickups. However, single coils have drawbacks, too. Apparently, this type of pickup is notorious for producing buzzes in the background. But there is no way to fix it. The minimal background interferences are part of the mechanism of single coils. Some guitar players want it while some just want to get rid of it. Fortunately, there are noiseless single coils that you can opt as well. Brands like Seymour Duncan, DiMarzio, Kinman, and Fender have them. The concept behind humbuckers relies on the usage of two independent coils. Each of these pickup coils would thread onto different directions. But they still operate towards a primary magnet. The path of these coils allows humbuckers to cancel out any hums. As a result, it can produce thick and loud sound. Moreover, you can say that they are "warmer" compared to single coils. If you are into heavy genres such as hard rock, metal, and classic rock, humbuckers are the perfect choice for you. You can even use them to pump some extra aggressiveness to blues! Moreover, humbuckers can create soft and smooth tones, too. For jazz lovers, these tones are really essential! If you place the humbucker in the neck of the huge hollow guitar, you can create relaxing and emotionally invoking sounds. Of course, we have to tell you that you can use humbuckers and single coils at the same time. The most popular setup is putting the humbucker on the bridge while the single coil on the neck or middle position. Other configurations would even put to the single coil in the middle and the humbucker on the bridge. The P90 is a variant of single coil pickups. However, it is quite bulkier than the Stratocaster pickup. Moreover, the sound it can create is "edgy" and "hot." P90s are the ideal choice if you are into blues, country, punk, and alternative genres. Vintage metals and stoner rock can benefit from this pickup, too. But since P90 is still a single coil pickup, they are still prone to background noises. The passive pickup is the most common pickup today. People would even assume that you are talking about the passive pickups if you don't specify that you are looking for an active pickup. Meanwhile, everybody in the guitar world knows that active pickups are weaker than their passive counterparts. However, the former are using a self-amplification mechanism to strengthen its sound. Usually, it is by means of using a 9-volt battery. There are certain advantages than active pickup holds. First, it can produce a lot of sustains. Second, it has a powerful output. And finally, the sound will remain intact even if you are using lengthy cables. The opposite happens when you are using a passive pickup, in which the sound grows weak when you are using long wires. Fortunately, there are single coil and humbuckers versions for active pickups. Moreover, these pickups don't produce annoying background noises, too! Many legendary artists used active pickups. For example, David Gilmour of Pink Floyd used one on their live album "PULSE." Meanwhile, companies like Seymour Duncan and EMG are producing many passive humbuckers for heavy genres. Well, you should not be afraid to use both active and passive pickups on a single guitar. The combination of these two will allow you to create a new world of music. They are widely available in the market, too. So why not try both instead? Albeit to popular belief, the terms coil split and coil tap belong to two different realms. The concept of coil split usually involves humbucker pickups. Specifically, they have wirings that allow you to deactivate one coil. As a result, you can convert them into single coils. Of course, we all know that many guitar players are looking for flexibility and versatility in their playstyle. Therefore, it is an advantage if you can produce humbucker and single coil tones in just one pickup. On the flip side, a coil tap is really different. Although it functions the same, its mechanism to switch off one coil is not as the same as coil split. It comes with extra wiring that entails you to control two output levels. Specifically, they are the lower and full output. The full power will allow you to create "standing" sounds during riffs and solos. Meanwhile, the lower mode will reduce the overall power output for standard verses. Using a guitar pickup is really essential. At this point, we do not want to call them as optional accessories. Instead, they are mandatory if you want to improve your play style and the current sounding of your guitar. Don't worry. These components are not that expensive. You can find affordable versions that won't rip your pocket. But if your wallet is still warm, then don't hesitate to choose the high-end brands. Trust us. They can give the best output for your guitar. We hope you learned a lot from this guitar pickup guide. After all, we don't want you to waste your hard-earned money on wrong guitar pickups. There are a lot of options in the market nowadays. Therefore, getting lost in the music jungle is easy, especially if you don't have any knowledge of the things that you are looking for. We want to save you from these kinds of hassles. Don't forget to share this article to your social media accounts! Show your love to us! Also, you can drop your comments, questions, and suggestions in the box below!